Experience the versatility and advanced design of the 1/18 Gelande II for yourself. Packed full of capability, the Gelande II is ready for any challenging condition. 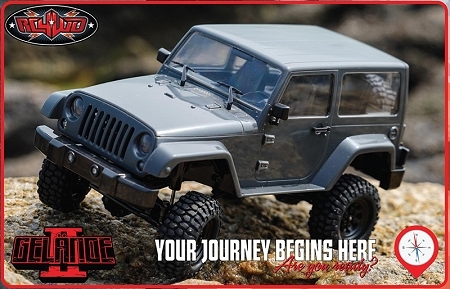 Put your off-road driving to the test and see why the G2 is unmatched in its class! The G2 is built with quality materials and craftsmanship. It can maneuver extreme descents and climbs with ease. 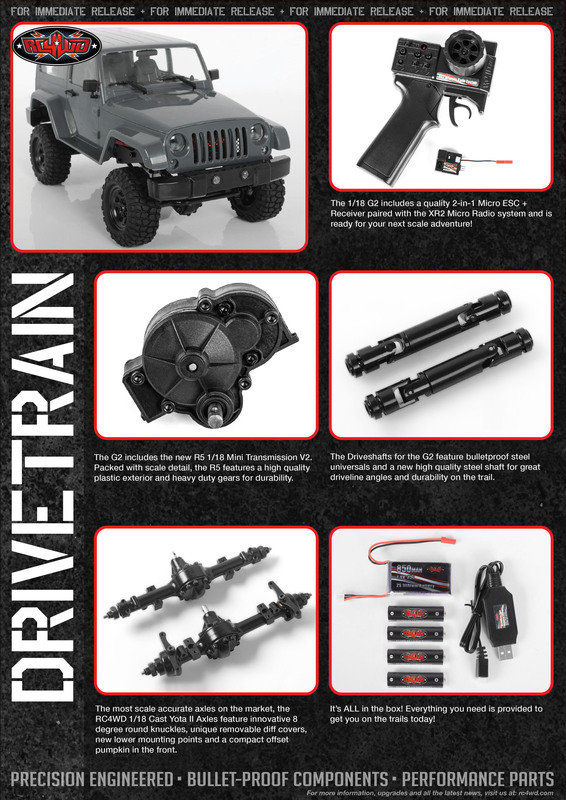 The new 1/18 Mini Transmission provides power to the 1/18 Yota II Axles. 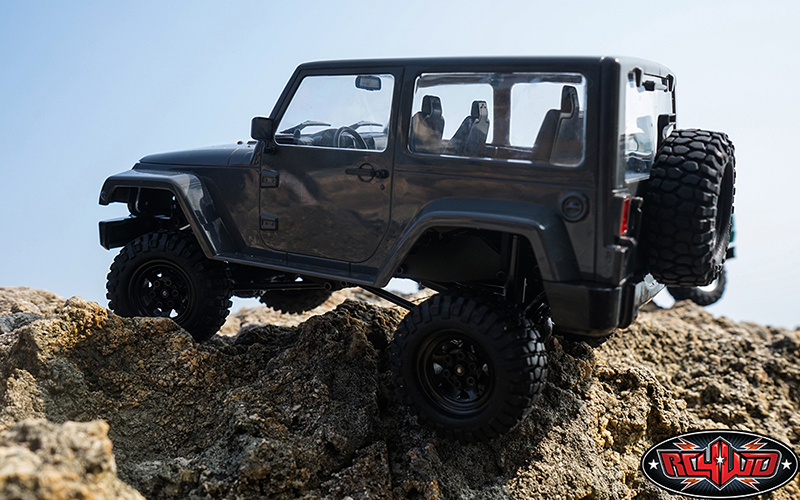 The core of the G2 is built for the true off-road enthusiast. 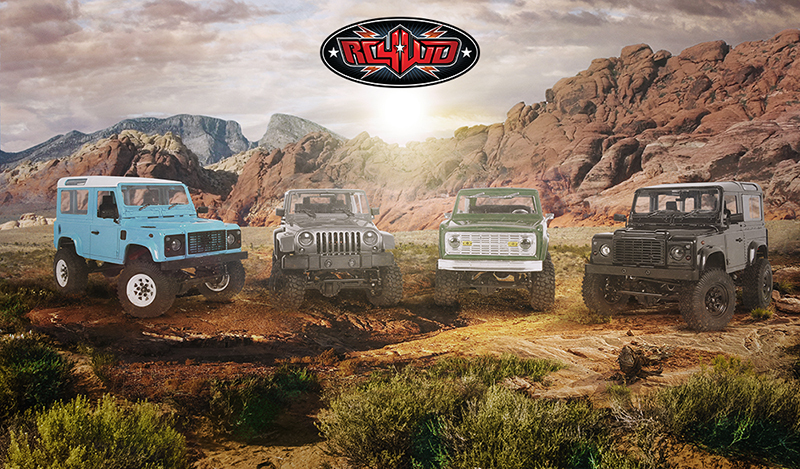 From emergency and expedition vehicles, down and dirty off-road rigs and even daily drivers, the G2 can be customized to pull off any look you choose. The G2 delivers on performance and looks to match the drivers identity. 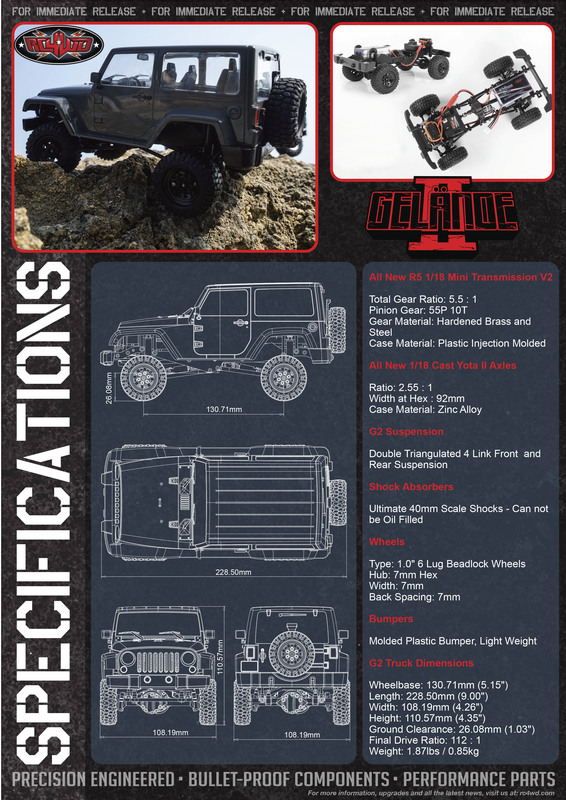 The G2 comes with double triangulated 4 Link Front and Rear Suspension. 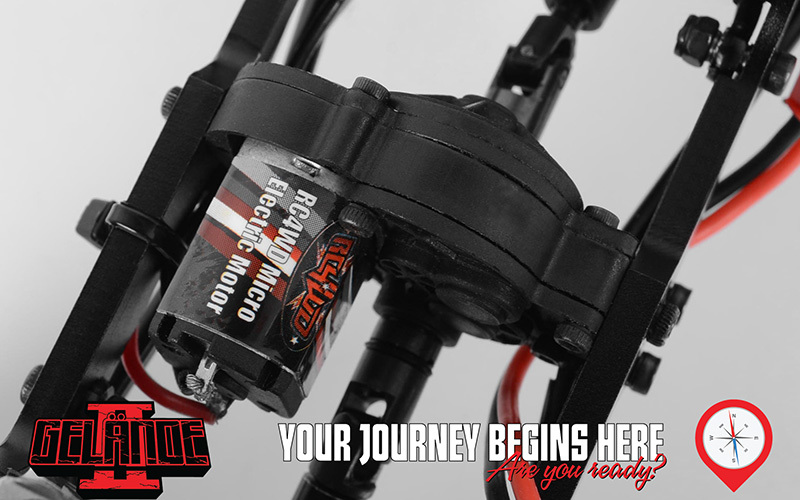 The servo is mounted on the chassis out of view for a more scale appearance. 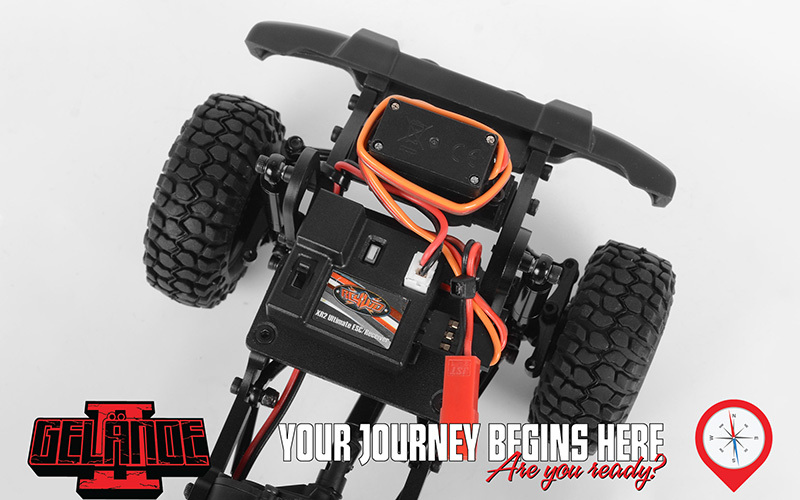 The G2 Chassis features a simple front mounted electronics plate for easy mounting of the XR2 Micro ESC/Receiver combo. 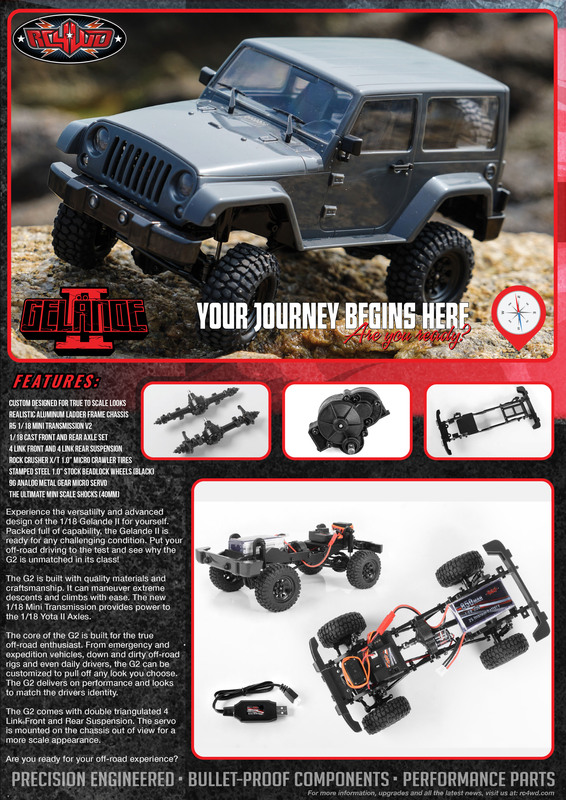 The G2 includes a set of RC4WD Micro Ultimate Scale Shocks. Designed for ultimate scale looks and ultimate performance. The shocks are machined from billet aluminum and internally sprung. 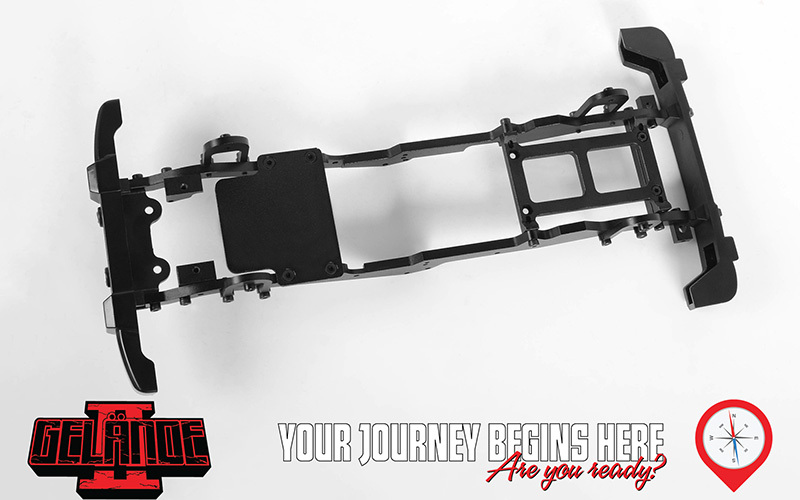 The G2 Chassis is a machined billet aluminum ladder frame with a 4 link suspension design, scale shock hoops, chassis servo mounts and hard body mounting points for the ultimate in strength. 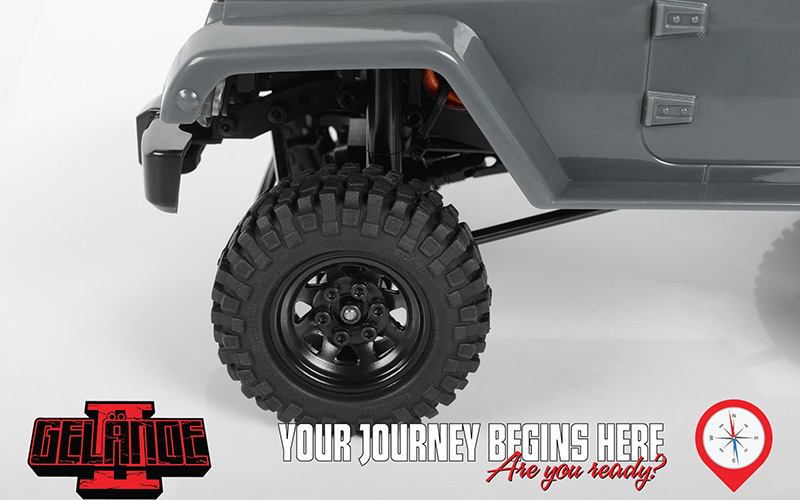 The G2 includes a set of RC4WD Black Stamped Steel 1.0'' Stock Beadlock Wheels. These feature a super tough black finish, aluminum internal locking ring and popular 6 lug design. 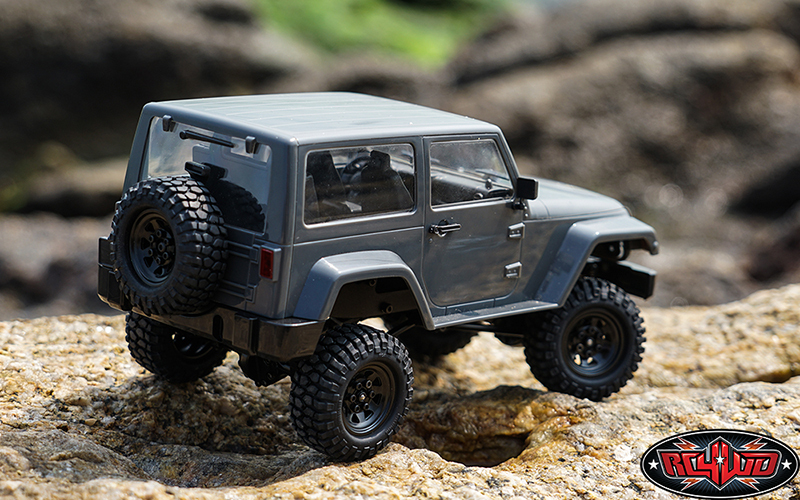 Every G2 needs a tough set or rock grabbing tires and the included Rock Crusher X/T Tires in our advanced X3 soft compound deliver the traction you need as well as perfect scale looks in just the right size. 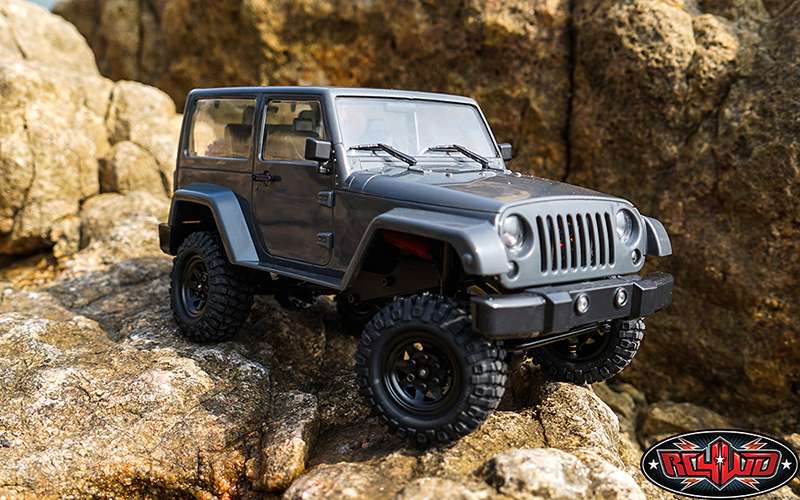 The G2 features the new Black Rock Body Set. 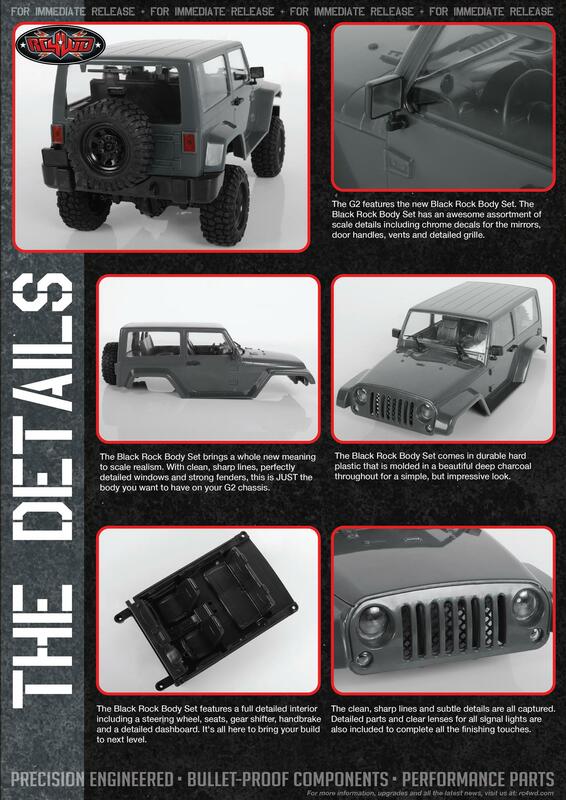 The Black Rock Body Set has an awesome assortment of scale details including chrome decals for the mirrors, door handles, vents and detailed grille. The Black Rock Body Set brings a whole new meaning to scale realism. With clean, sharp lines, perfectly detailed windows and strong fenders, this is JUST the body you want to have on your G2 chassis. The Black Rock Body Set comes in durable hard plastic that is molded in a beautiful deep charcoal throughout for a simple, but impressive look. 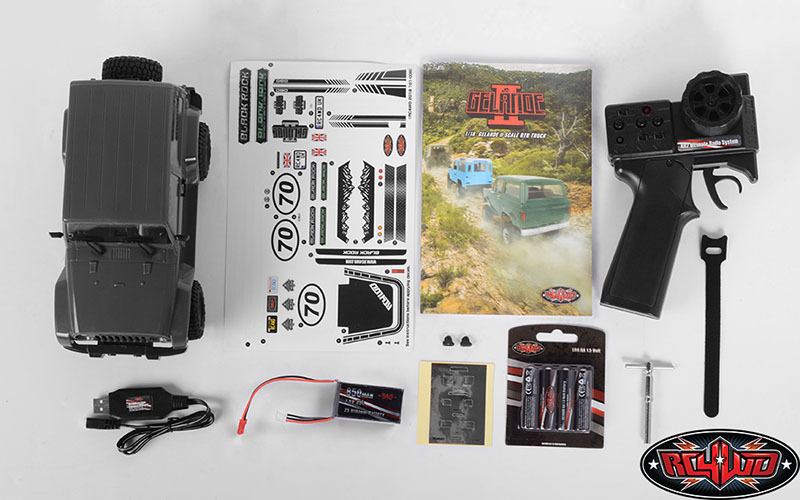 The Black Rock Body Set features a full detailed interior including a steering wheel, seats, gear shifter, handbrake and a detailed dashboard. It's all here to bring your build to next level. The clean, sharp lines and subtle details are all captured. Detailed parts and clear lenses for all signal lights are also included to complete all the finishing touches. 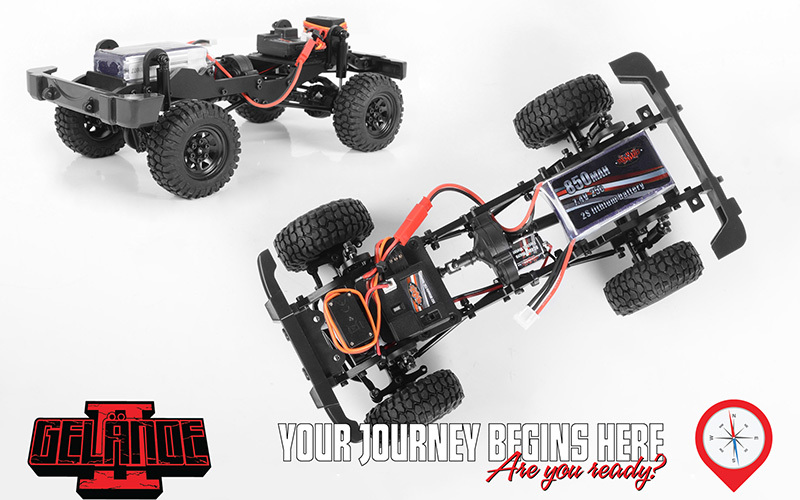 The 1/18 G2 includes a quality 2-in-1 Micro ESC + Receiver paired with the XR2 Micro Radio system and is ready for your next scale adventure! 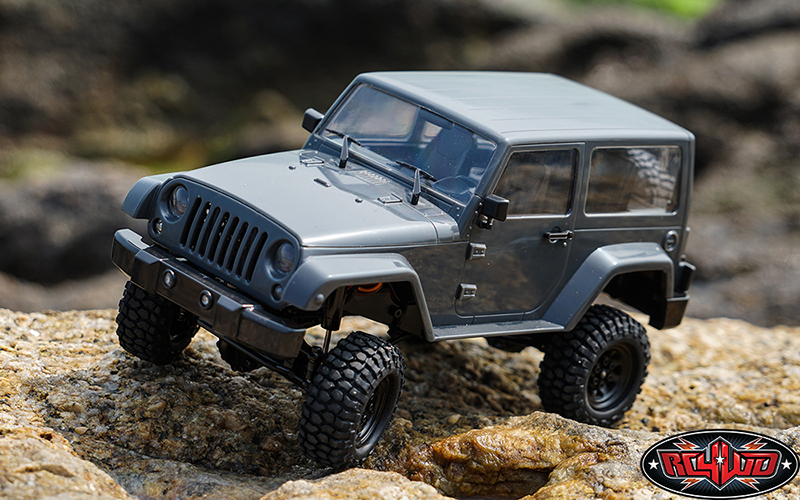 The G2 includes the new R5 1/18 Mini Transmission V2. 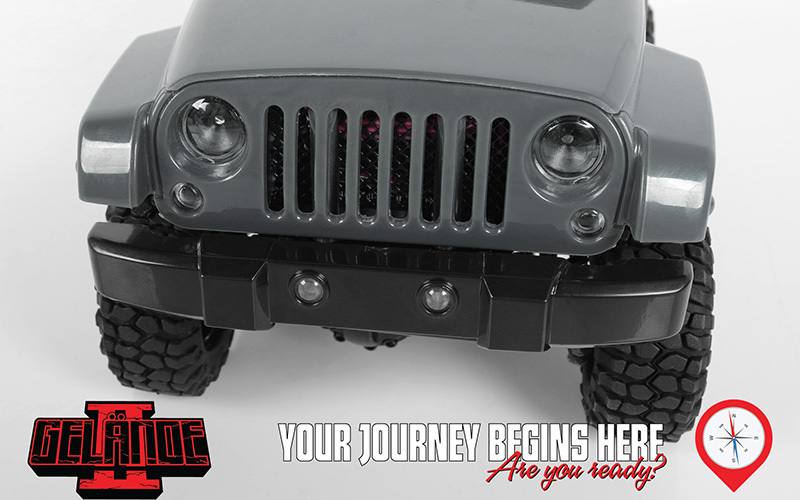 Packed with scale detail, the R5 features a high quality plastic exterior and heavy duty gears for durability. The Driveshafts for the G2 feature bulletproof steel universals and a new high quality steel shaft for great driveline angles and durability on the trail. 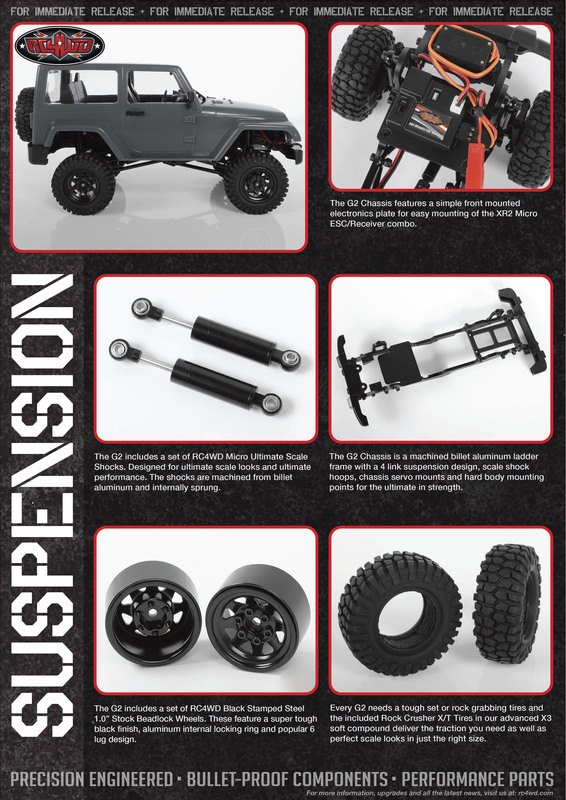 The most scale accurate axles on the market, the RC4WD 1/18 Cast Yota II Axles feature innovative 8 degree round knuckles, unique removable diff covers, new lower mounting points and a compact offset pumpkin in the front. Shown with all 4 Mini Gelande Option. 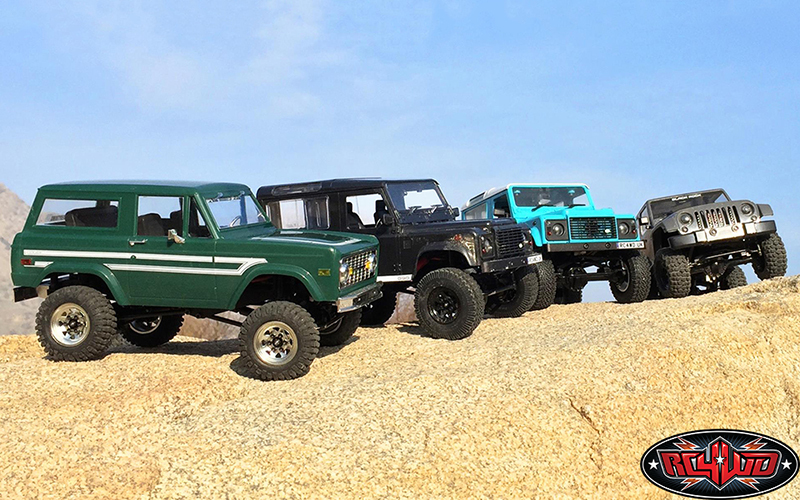 Black Rock, Blackjack, D90 Black, and D90 Blue. A velcro strap is included to secure the battery to the chassis. It is recommended, but not necessary to use when attaching the battery to the chassis.